“I think the ability to communicate the results from your research clearly and with context is the most powerful skill a scientist can develop. 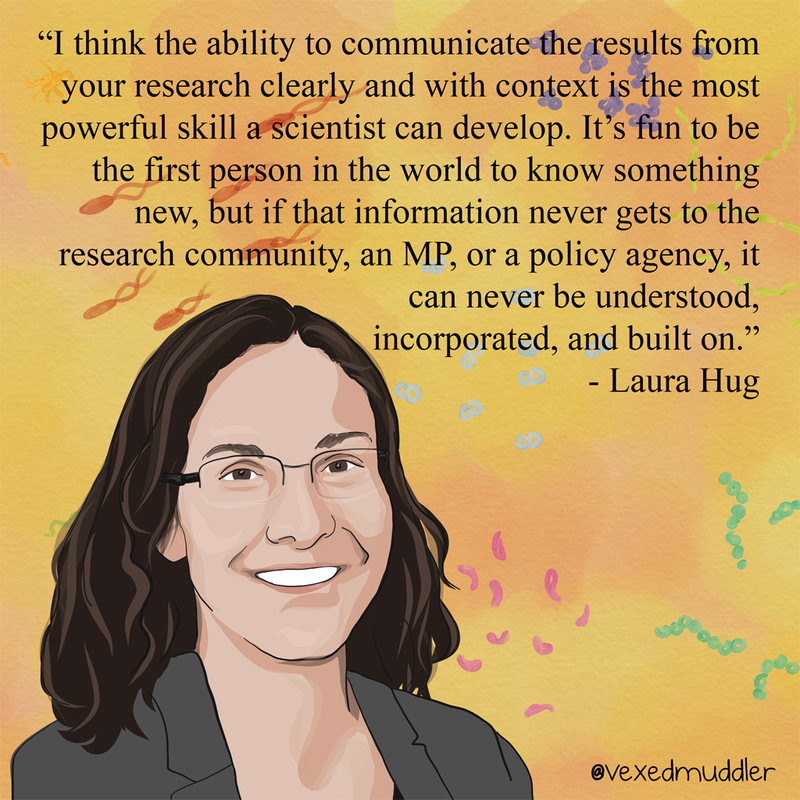 It’s fun to be the first person in the world to know something new, but if that information never gets to the research community, an MP, or a policy agency, then it can never be understood, incorporated, and built on. Canada’s future will depend on scientific advances targeting climate change, disease, and resource allocation. Communication is central for success.” – Laura Hug, assistant professor of Environmenal Microbiology at the University of Waterloo. Originally posted on September 17, 2016.